Buy Diljit Dosanjh India Tour Tickets on Paytm & get flat cashback of Rs.250. 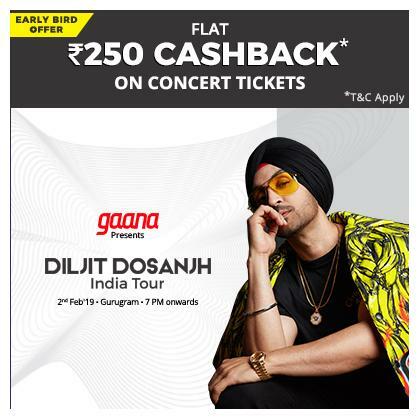 Get Flat Rs.250 cashback on purchase of Diljit Dosanjh India Tour Tickets. Promocode is valid on a minimum booking of 2 tickets. * The promocode received post purchase of this deal is only applicable for booking tickets to Diljit Dosanjh India Tour Tickets at Delhi on Paytm.com and Paytm App. *Deals once purchased will not be refundable. * The promocode will be applicable on a minimum booking of 2 tickets to Diljit Dosanjh India Tour on Paytm.com and Paytm App only. *Please make sure to apply the promocode before clicking on Proceed to Pay while booking movie tickets.